Pierre, S.D. 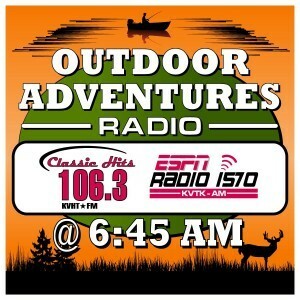 – The longest running walleye tournament on the planet is back for its 45th anniversary. The South Dakota Governor’s Cup is proud to announce that nearly 400 of the greatest walleye anglers in the country will convene in the communities of Pierre/Ft. Pierre and Spring Creek Marina, July 19-21, 2019. “The Gov’s Cup is rooted in traditions,” said Curt Underhill, Co Founder of The Fishing Crew, and director of the South Dakota Governor’s Cup. “It began with legends like Bob Propst Sr., The Linder’s, Ted Takasaki, Mike McClelland and Tony Dean battling it out for glory on the mighty Missouri. Now, it’s Gerrick McComsey, Duane Hjelm, Tyson Keller, and many other determined anglers who want to prove their standing within the walleye fishing community,” continued Underhill. In 1974, the South Dakota Governor’s Cup held its first tournament on the waters of Lake Sharpe. 50 of the best anglers in South Dakota and beyond put innovative techniques and in-depth fishing knowledge to work setting the tone for walleye tournaments thereafter. To those anglers, it was more than just a tournament.